It’s the last week of school and then summer vacation. Time for night swims, staying up late, and catching up with all the adults we haven’t seen all school year! It’s easy to grab snacks and drinks for the kids when we get together with friends, but it’s sure is nice to have some special things for the adults too! 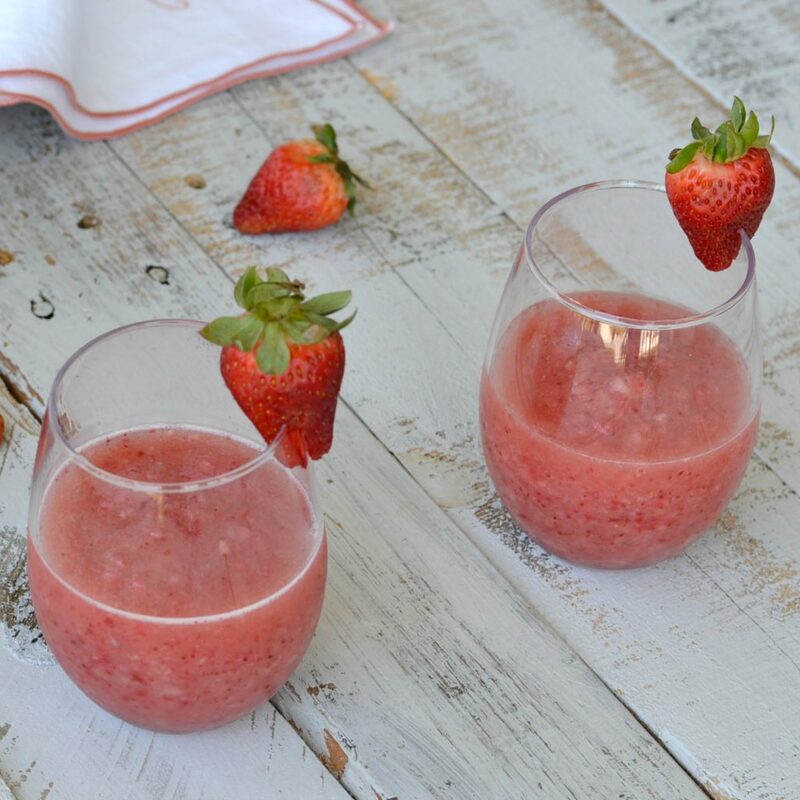 This strawberry rosé wine slushie is perfect for these time and so yummy. 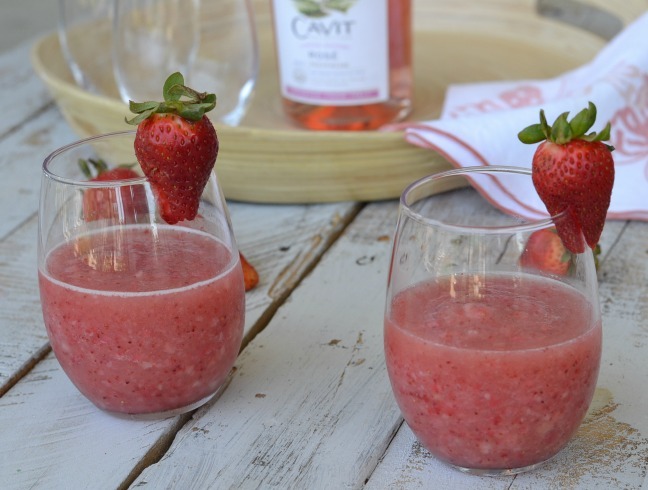 Cavit Rosé is the ideal summer drink and even better is an adult slushie! It’s perfect for those warm North Carolina nights. It’s so simple and easy to make. 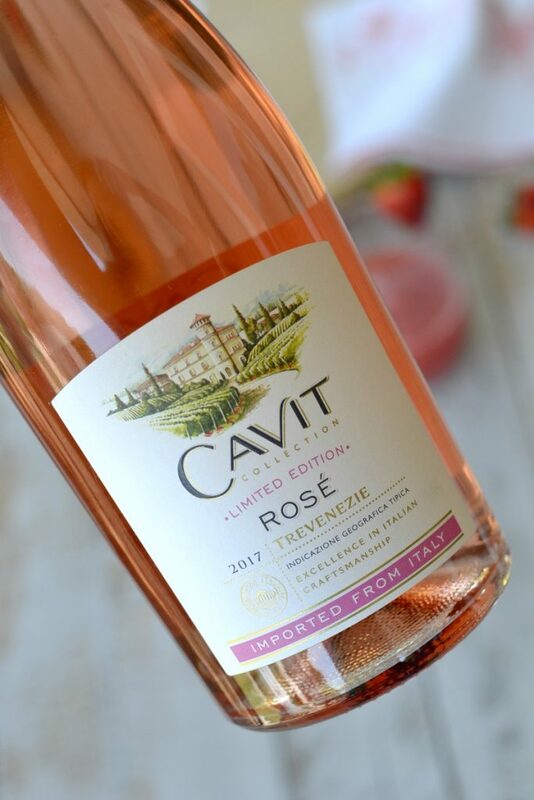 Cavit Rosé goes well with strawberries, raspberries, cherries, and watermelon so I decided to add some fruit to my slushie. 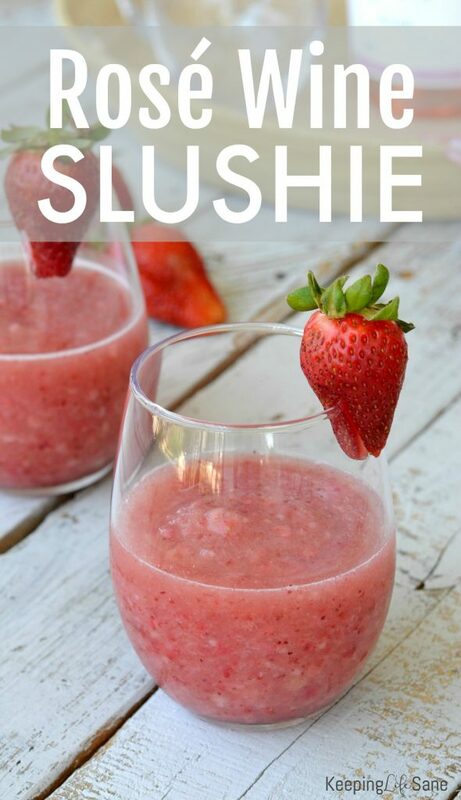 Add bottle of Rosé and strawberries to blender. Blend until smooth. Garnish with strawberry and serve immediately. Of course, you can just have this straight out of the bottle. It’s so delicious this was too or with dinner. It goes well with all fish and white meats. It’s just a nice wine to have in your refrigerator. 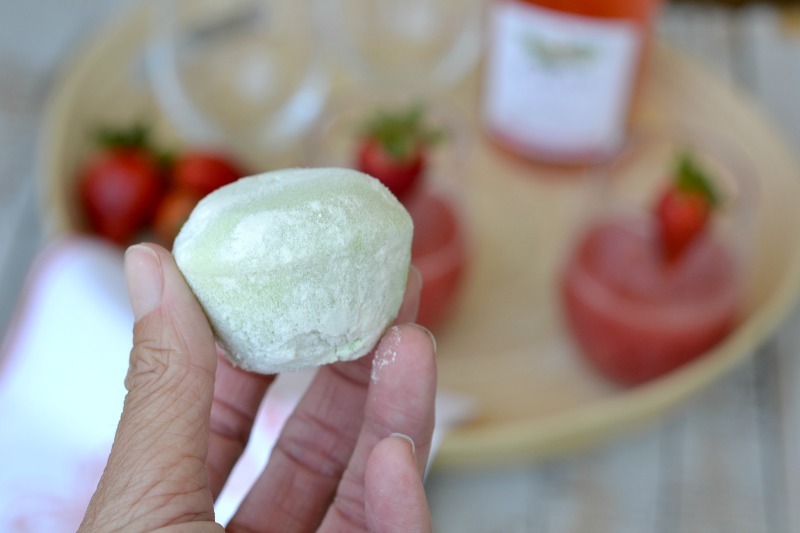 Next, you’ll want to pull out My/Mo Mochi Ice Cream. The ice cream is inside the mochi. I never knew what what mochi was until now! It’s a sweet rice dough that’s chewy and melts in your mouth and filled with different flavors of ice cream to make a treat. It’s different, but something we’ll be adding to your grocery list again. It looks just like the picture on the box, which I LOVE because I hate it when companies try and trick you. It comes is eight flavors and I literally stood there for 2 minutes trying to decided which to buy. They all looked so good! I got the mint chocolate chip! PS. Don’t let your kids find out about these because they will bug you to death about finishing the box. I know from experience! 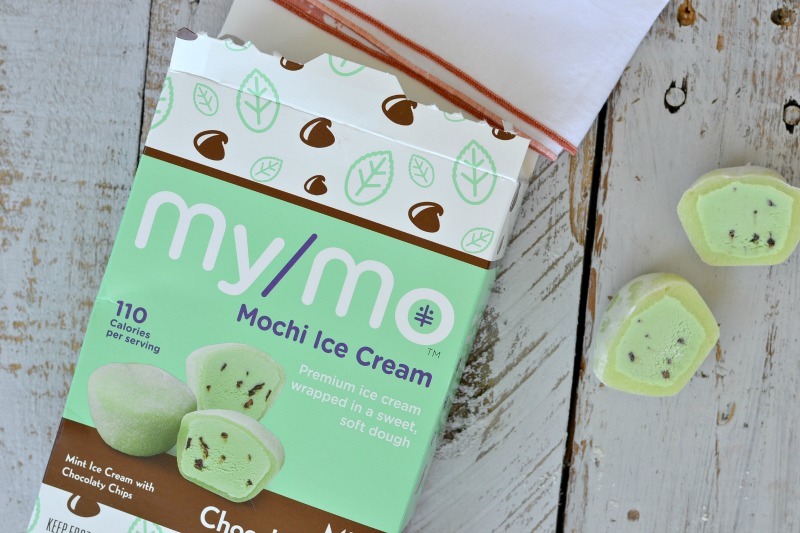 Use this locator to find My/Mo Mochi Ice Cream near you and make sure to load up this Ibotta coupon too! You’ll want to make sure to grab a couple of boxes for sure. I want a wine slushy on my next visit. Looks so refreshing!